Question To Ponder: Why is the Xbox One not mentioned in the leaked GTA 5 source code config file? Obviously there is one big assumption I’m making. Dare I say that Rockstar will be releasing more versions of GTA V? Dare to argue that? I’ve spent some time pondering previous leaks and rumors regarding Grand Theft Auto 5 and what might be next. There has been more than enough smoke coming from GTA V PC rumors to suggest it’s coming. As they say, where there’s smoke, there’s fire. It’s really the next generation consoles that have the big question mark. Will Rockstar or won’t Rockstar release it for the new consoles? From the code, people were able to surmise that a PC, Xbox 360, PS3, and PS4 version of Grand Theft Auto 5 were referenced. So looking at that source code, people have noted that it references Orbis which is the code name for the PS4’s operating system when working with the dev kit. Here is the ultimate question. Why is there is no reference to Xbox One? I think the people who dug up the code and looked at it are pretty smart people who know what they are looking at. If they don’t find a Xbox One reference, then I put some weight in that. At the time, nobody questioned it. Nobody even thought curious about it. Was it buried and people weren’t able to identify it within that source code? 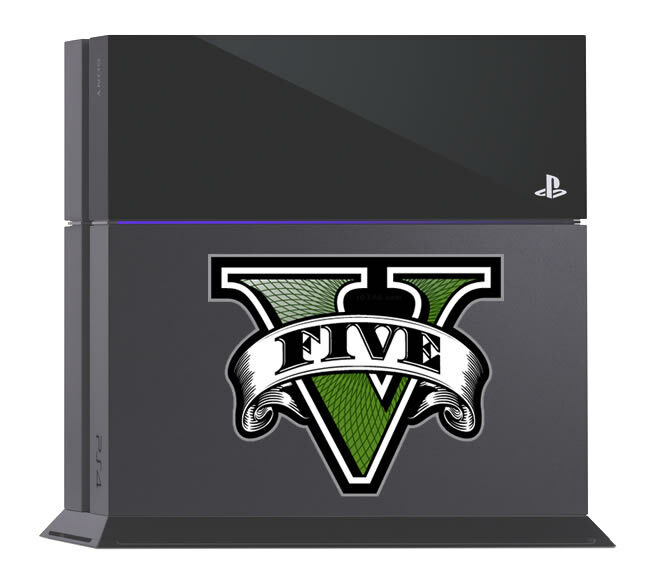 Or, is it as I’m suggesting that GTA V for the next generation consoles could be a PlayStation 4 exclusive? Perhaps you think that’s far fetched or simply absurd. Consider the existing relationship between Rockstar and Sony. Consider though that Rockstar and Sony have exclusives for the marketing of Grand Theft Auto 5. All the advertising banners mentioned and showed PS3, not Xbox 360. Sure that’s part of the deal between both Rockstar and Sony, but it still shows a preference. It’s called a licensing agreement or something of the like. The PlayStation 3 has the bundles for GTA V, Xbox 360 doesn’t. PS3 has the GTA V headset, the Xbox 360 does not. There is definitely a relationship there already and there has been on other GTA releases also. The question of course is whether Rockstar would limit the next generation release to only one console. Financially it doesn’t seem logical. Money generally plays the biggest role in these decisions. Given that Grand Theft Auto has never been an “exclusive”, why would they suddenly do that now? One other thought regarding GTA V as a PS4 exclusive is this. It is revenue certainty for Rockstar. Considering the release date of the game and then the release date of the next generation consoles, there is some unknowns. As in, Rockstar and nobody else can really say who is going to buy for the old generation consoles and participate in an upgrade program. There could be something to this idea of taking the sure money vs. running the risk of depending on gamers buying both versions of the game. If Rockstar has to offer the next generation GTA 5 for a $10 upgrade, an exclusive deal might start looking more palatable. It’s because of the timing that an exclusive might make financial sense for Rockstar to do. Consider also Sony’s aggressive campaign to win the next generation console wars. To have exclusive next generation rights to a title like Grand Theft Auto 5 would be a real feather in the cap for Sony don’t you think? A single video can in fact sway people to buy one console over another. Think GoldenEye 007 for the Nintendo 64 for starters. People bought the console just to play that game. What are your thoughts? Am I putting too much emphasis on the leaked source code which oddly has no mention of Xbox One? Do you feel that the lack of mention of Xbox One in this code leak is irrelevant to whether it’s a possible PS4 exclusive? But answer me this. If the Xbox One isn’t listed in the code, why is it not there? Ultimately it comes down to whether you think that the lack of Xbox One mention is a result of an error from the people viewing the code or is it something along the line of what I’m suggesting, a PS4 exclusive. 16 Responses to Is GTA 5 for next gen consoles going to be a PS4 exclusive? This article is STUPID. There is no chance in hell GTA 5 won’t come to XBONE. The fact is GTA has never been a Sony exclusive. Thanks for the comment and reading. What’s your theory then as to why there is no mention of Xbox One in the config file? If you can convince me otherwise, I’m game. and RockstarGames was already working on Agent exclusive for Sony, what if they trew that project in the trashcan and said Nah it won’t work, but we can give you guys an amazing exclusive next-gen version from GTA V.
Yes, actually GTA was an exclusive for sony up to gta san andreas.. gta 3 and vice city never released on xbox (due to it being a sony exclusive) and san andreas released on xbox a year after the ps2 version (due to microsoft throwing cash at rockstar to make it for xbox too). So remember that sony systems are the home/main system for gta. Just thought I would correct that. Thanks for mentioning that fact! I’m not an expert on reading the source code or anything, but Xbone might not be mentioned because it has a Windows os on it (Xbone has three os’s if I’m correct). Besides that, if GTA 5 is an exclusive for PS4, it would be another big win for Sony for the next generation. I think even more people will be tempted to go from Xbox to Playstation. First poster seems like an xbone buyer and he just doesnt want to believe the facts. Can I just say I dont see it either to be honest. Maybe a six month exclusivity deal, similar to a few games that came out on xb360. Still would be a real kick in the teeth to xbone users. The reason why they didnt include xbone reference is maybe because as the architecture of ps4 and xbone is same, they must have generalised both of the references as one and denoted as PS4. Or maybe some other reasons. Rockstar did put a lot of effort in developing GTA 5 and its evident from the amazing game itself and they must get what its worth after all they did to develop it and the current-gen consoles are the only ones they can currently concentrate on to generate them profit as they are already running the game and people are enjoying it despite smaller criticisms towards some minor glitches. Its not like they dont wish to release the game on PC and nexgen consoles, they do know that PC gamers and nexgen console users WILL form the remaining part of GTA gamers worldwide. Still porting it to these platforms and the effort behind it is entirely the choice of the developer and as there is no official news regarding the ports, none can actually tell anything until its out. I believe GTA V will come out on all platforms, its just an amazing game without doubt and I will surely buy it if/when it comes out for PS4/XBone. Cheers. 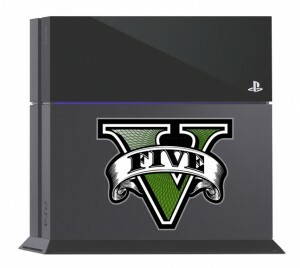 I think that it is plausible that PS4 could get GTA 5 as an exclusive or timed exclusive…just look at the history of the relationship between Sony and Rockstar, the config code and present advertisements. It is somewhat about money and one could argue that it makes more financial sense to milk money out of a release for PS4 and then get more money from a release on the Xbone a lot of months down the road. Keep in mind that the same thing is happening for Titanfall, people are shocked that it is not coming to PS4 but after they have milked it on Xbone they can release it on PS4 and make even more money. Most of the top ten comments are mistaken on past exclusivity. 3 and VC WERE exclusives when they released, but were later brought to the Xbox in superior versions in a combo pack (much to my pleasure, since I only owned an Xbox at the time and had heard ps2 owners discuss GTA endlessly). That was between the releases of VC and SA. SA was the first to launch on both Sony and MS consoles simultaneously.